Columbia Sportswear, a global innovator in active outdoor apparel, footwear, accessories and equipment, today announces that it will open its flagship European store in early 2019, located on London’s iconic Carnaby Street. The store will offer 2,465 sq. ft. (230 sq. m) of premium retail space, over two levels, showcasing the very best of Columbia’s range – from innovative, technical outdoor gear, to casual, outdoor-inspired collections drawn from Columbia’s rich heritage – perfect for customers shopping for the high street or their next outdoor adventure. More information will be made available before the store opening. “Announcing the arrival of our London flagship store is another milestone for Columbia just a year after celebrating our 80thanniversary. London is a world-renowned shopping city and we look forward to engaging with the city’s active consumers and global visitors, sharing Columbia’s rich heritage and innovative products,” said Matthieu Schegg, Vice President and General Manager, EMEA, Columbia. 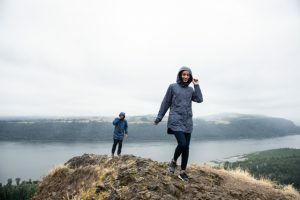 “The new, flagship store for Columbia Sportswear will be a great addition to Carnaby, and the brand’s innovative technology and community initiatives will make the store a must-visit for 2019. The influential retailer is the perfect fit for this premium retail unit on iconic Carnaby Street, sitting alongside other global, flagship brands,” said Addy Williams, Senior Retail Portfolio Manager at Shaftesbury. Shaftesbury owns and manages a 15-acre property portfolio in the liveliest parts of London’s West End. Focused on restaurants, leisure and retail in the highly popular, sought-after and prosperous locations of Carnaby, Seven Dials and Chinatown, it also includes substantial ownerships in East and West Covent Garden, Soho and Fitzrovia. The portfolio comprises nearly 600 shops, restaurants, cafés and pubs, extending to 1.1 million sq. ft., 593 apartments and 0.5 million sq. ft. of offices. All our properties are close to the main West End Underground stations, which currently handle c 228m passenger’s p.a., and are within ten minutes’ walk of the two West End transport hubs for the Elizabeth Line, at Tottenham Court Road and Bond Street, which projections indicate could be handling 200 million passengers annually by the mid-2020s.